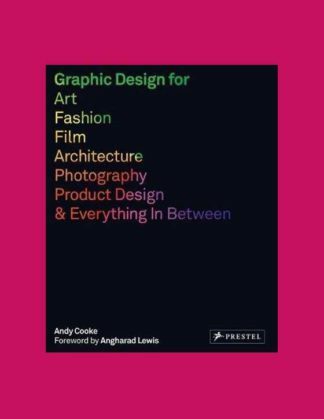 This guide explores ways in which graphic designers can successfully collaborate with other creative professionals and sectors, whether it be a more sophisticated logo for a product, a better-designed lookbook for a fashion brand, or a more intuitive wayfinding system for a museum. The book features exceptionally conceived design solutions across a variety of industries—from architecture and product design to art, fashion, and film. Through dynamic spreads, readers will discover the Berlin-based studio Hort’s transformative campaign for Nike; Base’s responsive, flexible logo for Munich’s Haus der Kunst museum; how design agency Bond worked with ArtRabbit, a website and app that catalogs contemporary art exhibitions, on a clever identity rollout; and how John Haslam, managing director of bespoke paper company G.F Smith, feels about the process of working with designers. Each example illustrates the significance of the graphic designer’s role in making a campaign marketable and successful. Insights from clients and the designers themselves reveal the inner workings of the design process. An indispensable reference for the graphic design industry, this visually arresting and informative volume shows how excellence can be achieved when creative minds work together.